Looking for the most affordable and reliable rhytidectomy (facelift) service in Thailand? Well, we can give you what you need here in Asia Cosmetic Hospital. Today’s common factors that contribute to skin aging are sun damage, stress, lack of time to sleep and polluted environment, and they can vastly aggravate to have an old-looking face. 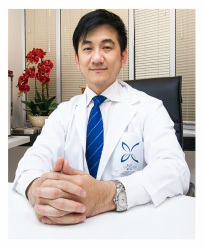 However, Asia Cosmetic Hospital can help you to revitalize your face back into younger and fairer looking. We have the best and most advanced technology, and finest surgeons that are well trained to help you feel good and look good. Face lift Surgery is one of the most common cosmetic surgical procedures today. Every year thousands of men and women undergo face lift surgery. The main goal for this surgery is to make your facial skin smooth and young looking. Face lift surgery takes around two to four hours depending on the technique used. Facelift is performed under either on a local anesthesia with mild sedatives or under general anesthesia. Patients can now choose from different types of face lift types depending on their facial tissue and specific desired results. And at the end of the of the consultation your surgeon will be the one to decide on what technique will be appropriate. In some procedures the surgeon will tighten the muscles tissues with the skin. And after the modifications and tightening, the incisions are closed with sutures holding the skin together.Bandage will cover the operative site. Tubes will be attached to drain the fluid postoperatively. The tubes will remain for several days after the operation. Asia Cosmetic Hospital offers this procedure to tighten the total sagging of skin and lines in the face in a more comprehensive manner. It removes the excess fats and skin which in turn will tighten the muscles. In total rhytidectomy the cut will begin above the hairline to the front ear which loops behind the ear lobe going to the lower scalp. In this procedure the face and neck will be tightened together skillfully leaving no traces of lines.The surgery takes 3 – 7 hours. Physical assessment and laboratory tests will be performed during consultation. Avoid taking aspirin, anti-inflammatory drugs as they can increase bleeding. At least 4-6 weeks before surgery one should stop taking hormones, anticoagulants, steroids and supplements to prevent complicating medical factors prior to surgery. After the surgery, patients will have to use cold compress for 2 days and avoid strenuous activities for 4-6 weeks. To avoid hematoma formation, make sure that you avoid lying with cheeks in contact with bed or pillow for at least 1 month. Numbness may persist for 3-6 months. Swelling and bruising will become minimal between 5-7 days after surgery. Usually for women makeup is applied and may resume some of their activities. Face lift surgery is just like any other surgeries complications are still possible. Complications include bleeding under the skin, prominent red scars, hair loss surrounding the scars, asymmetrical features, nerve damage, infection, numbness, and blood clotting. However,total facelift is a very common surgery and complications can happen rarely. The mid facelift on the other hand focuses on the lower eyelids and cheeks area. During the procedure the surgeon makes small incisions in the muscle tissue of the face. After the incision is done the surgeon makes adjustments in the fat and muscle tissues. After all the necessary steps, the incisions are then closed. The surgery takes around 1 hour. After the surgery, the patient cannot drive home by himself because of the bandages around her head and may still experience the effects of anesthesia. In this case the patient should arrange a transportation to and from the treatment center or have somebody drive for him or her. The patient should remember to maintain lightweight activities and should have someone to help when doing everyday chores at home such as cooking and cleaning to make sure that recovery period will be shorter. There should be 10 days to 2 weeks as the fastest recovery period before the patient can return to work. Only walking, mild stretching are allowed and vigorous exercise, heavy household chores, and sexual activity should be avoided for at least a week or more. The surgery usually takes up to 1-3 hours. After facelift surgery the patient is advised to take a lot of rest but of course with head elevated than the rest of the body. Bruising , swelling and pain is commonly felt after surgery so the patient should take pain medications as ordered by the physician. The patient should to avoid taking alcohol and also avoid smoking. Just like any other surgical operation and like total face lift procedure, mid face lift can also have the possibility of delivering complications. Complications include bleeding under the skin, prominent red scars, hair loss surrounding the scars, asymmetrical features, nerve damage, infection, numbness, and blood clotting. However,total face lift is a very common surgery and complications can happen rarely. Asia Cosmetic Hospital group of personnel will make sure that every operation is a success. Face Lift Cosmetic Surgery : Face lift is a popular procedure to oppose the obvious signs of aging on the face. However, this does not stop your age from moving. By practicing a healthy lifestyle one could enjoy much longer the gift of a young appearance. These are just a few of the offers from Asia Cosmetic Hospital. Be sure to know what you wanted before deciding on what operation to take. 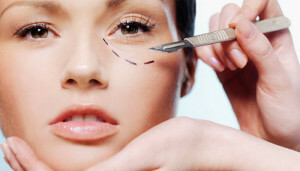 Asia Cosmetic Hospital staff and surgeon will guarantee you of a 100% quality service.